Our free Citizenship classes prepare students for their U.S. citizenship exam by teaching them about American history, government, the legal system, and other important principles of U.S. society. 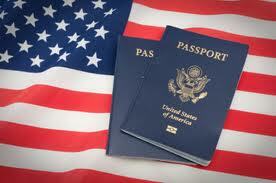 The program also offers tutoring sessions for the citizenship interview and for writing. We estimate that more than 2,000 persons have earned U.S. Citizenship after taking classes at our center the past several years! We also offer free ESL classes to adult immigrants and refugees. Hmong Cultural Center is a member of the Saint Paul Community Literacy Consortium. Call 651-917-9937 or drop by our offices at 375 University Avenue, Suite 204 for more information about registering for a Citizenship or ESL Class at our center. Our ESL classes teach immigrant and refugee adults basic English vocabulary and grammar, as well as interpersonal communication skills. The EL/Civics classes also include additional content to help prepare them for everyday life and the American working environment. Through the classes, students also gain a better understanding of and experience for the employment-seeking process including applications, advertisements, and interviews. In addition, class sessions in our computer lab allow students to develop and become familiar with basic computer and internet skills and programs such as Microsoft Word, Mavis Beacon keyboarding software and Rosetta Stone English instruction software. As part of the Civics content, students learn about Minnesota history and local, state and federal government through field trips and guest speakers. Worried about Trump and Travel, Immigrants and Refugees Flock to Citizenship Classes. Minnesota Post. July 27, 2017. Why It Often Takes Years for Eligible Immigrants to Become U.S. Citizens. Minnesota Post. February 17, 2016.